Family businesses are often torn between their local roots and their desire and need for internationalization. 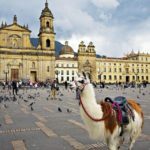 They grapple with the paradox of being deeply rooted to their origins, tradition and local communities, while, at the same time, exploiting international opportunities in the global marketplace to stay competitive. IFERA invites papers that speak directly to the selected conference theme “Locality and Internationalization of Family Businesses”. 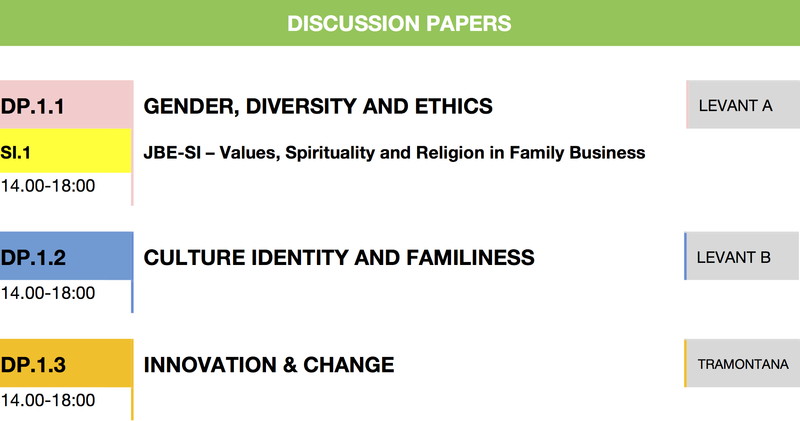 In addition, we invite papers on all aspects of family business research, including but not limited to succession, leadership and governance, entrepreneurship, strategy, organization, family relationships, emotions, family psychology and sociology, history, economics, finance, and accounting, as well as issues that lie at the intersection of these and other interrelated disciplines. All theoretical and methodological approaches are welcome. Family business research is indeed a truly multi-disciplinary, creative, rigorous, reflexive, and critical community. Let’s discover once again the pleasure of discussing between good friends the topics we love in a relaxed environment. 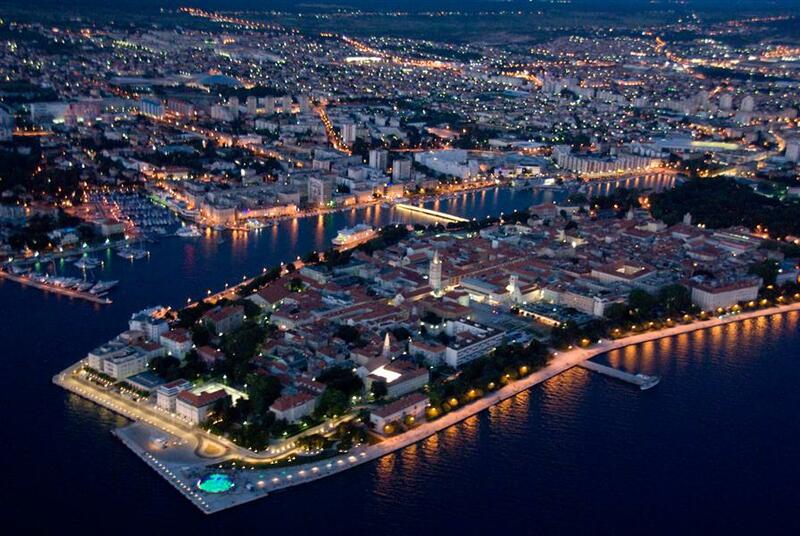 Moreover, Zadar is amazing in June! The conference seeks for a better understanding of the relationship between family firms and their local economy. It is often assumed that family firms have a strong connection to their home regions. But, so far, little empirical research exists on this topic. How do family firms and their leaders and decision makers care about the local economy? How does this connection to the home region develop over the generations? What is the role of family firms in regional economic environments and how do they contribute to regional economic growth and development? Which role does the family and the family tradition play to create a link between the family firm and the region in which the family firm is located? How can policy makers create an environment such that family firms become a cornerstone of regional development? How do family firms face economic crises and how does this impact the local labor market? These and other related questions from the perspective of regional economics research are of high importance for (regional) policy-makers and other stakeholders of family firms. Being local can be an advantage and disadvantage at the same time. The conference seeks to contribute to a better understanding how the local roots of family firms influence strategy at both the business and the family level, and how family can turn their local roots and regional embeddedness into a competitive advantage resulting in above-average performance. How do local roots and embeddedness of family firms influence business strategy and firm performance? How do local roots shape family strategies? And how do families leverage regional cultures, networks and embeddedness in their strategies? 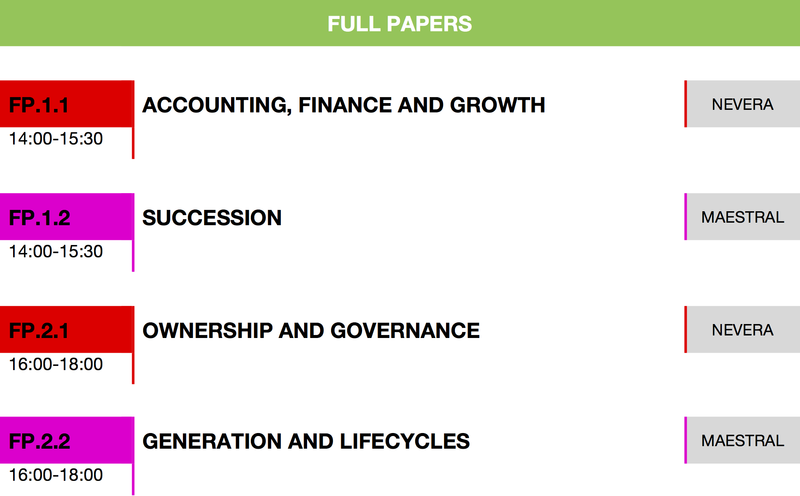 How can local roots and regional contexts favor or hinder success factors of the family firms? How do customers, suppliers and other external stakeholders value the local roots of family firms? How do roots and traditions shape the international identity of family companies? These and other related questions from the perspective of strategy and performance research are of high importance for family firms and their leaders in order to understand their unique competitive (dis)advantages resulting from their local roots. As family firms develop and grow they internationalize and turn from local to global companies. The conference seeks to understand how this growth and internationalization changes both the family and the firm. It further seeks to understand how family firms can keep and preserve their local character while being successful in the global marketplace. How do the local roots of family companies affect their internationalization process? How do family firms and the families behind them change when they develop from a local to global company? When do local roots become a liability for internationalization and what can be done about it? How can family firms internationalize and still stick to their local roots and traditions? How do family firms differ from other firms in their internationalization and market entry strategies? What is the role of the family and its involvement in management and ownership in this regard? These and other related questions from the perspective of international management and evolutionary economics research are of high importance for family firms and their leaders to determine their internationalization and growth strategy. 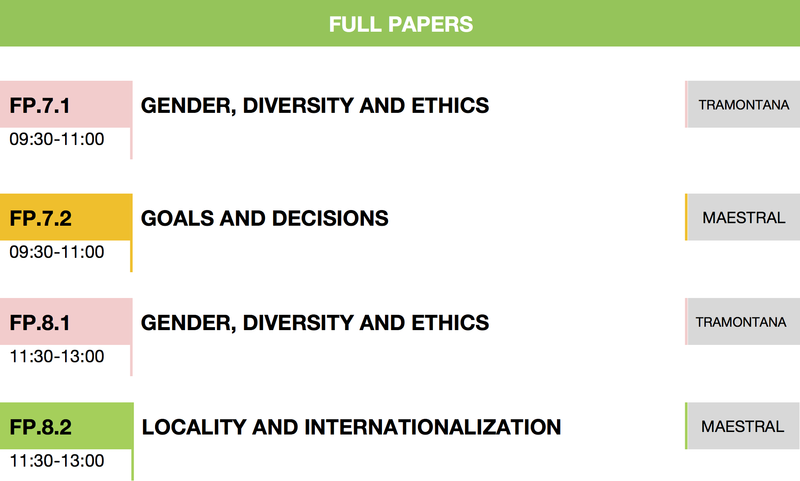 In summary, the IFERA 2017 theme “Locality and Internationalization of Family Businesses” encourages submissions that embrace diverse disciplinary traditions, theoretical perspectives and methodological approaches to (1) advance our understanding of the distinctive opportunities and challenges prompted by the duality between being deeply rooted in local communities, cultures, and networks while exploring new opportunities for expansion and entrepreneurship in the global marketplace; and to (2) help family owners and managers, as well as policy makers and professionals engaged with family firms to effectively manage the nexus between locality and internationalization to build competitive advantages and sustain firm growth and performance across generations. 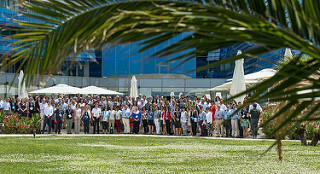 The purpose of the conference is to advance family business scholarship by (1) serving as a platform for presentation of carefully crafted contributions seeking to find home in top-tier academic journals, (2) advancement of papers that need further development in order to make a meaningful contribution, (3) testing of new ideas and plans that will benefit of advice from other members of the IFERA family and our distinguished quests, and (4) raising of new and relevant questions concerning family business. Highlighting the role of IFERA as a bridge between intellectual framings and praxis of family business, the annual conference brings together business families and scholars to identify and advance best practices in the family business. Policy issues are not ignored either. 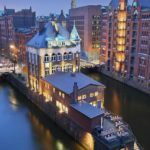 Finally, with the IFERA tradition of having fun, the conference provides an inspiring and a unique atmosphere for networking, bonding, and exchanging ideas. 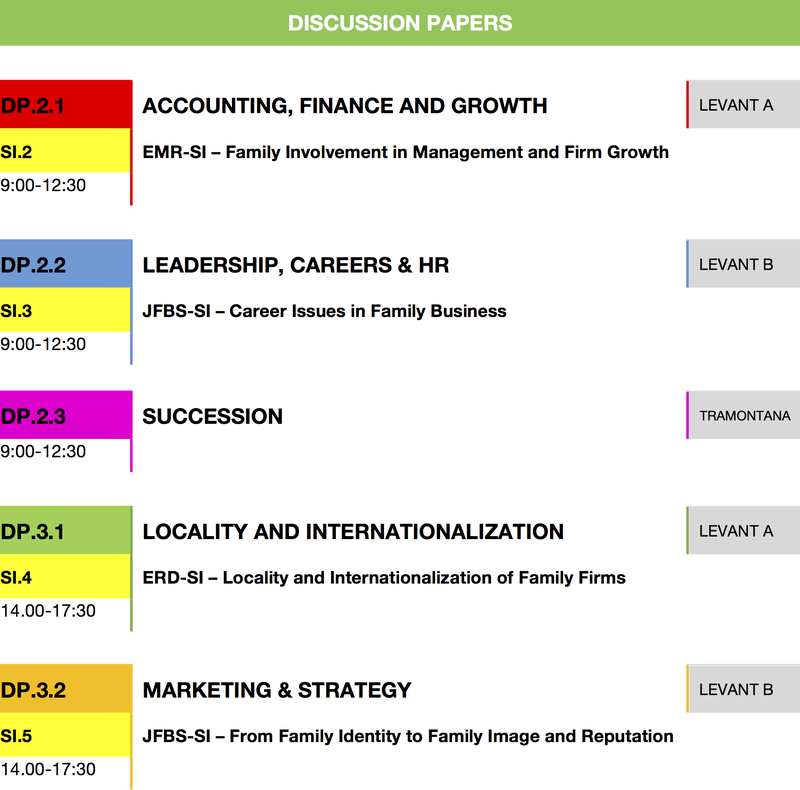 The Conference invites papers on all aspects of family business research, including but not limited to succession, leadership and governance, entrepreneurship, strategy, family relationships, emotions, family psychology and sociology, economics, finance, and accounting, as well as issues that lie at the intersection of these and other interrelated disciplines. All theoretical and methodological approaches are welcome as we advance the field in a truly multi-disciplinary, creative, rigorous, reflexive, and critical fashion. We are currently working with several peer-reviewed academic journal in exploring special issues from this conference. Further information will be announced in due course. Please be sure to check the conference website http://ifera2017.ifera.org/ regularly for latest updates. Doctoral Consortium is designed as an interactive and educational event for doctoral students planning to pursue a career of scholarship in the family business field. It aims at providing an additional opportunity for the students to share the latest state of their research, learn from and get socialized in the field via close interaction with their peers and experienced participating faculty. Faculty Development Consortium offers opportunities for new and experienced faculty to develop their careers and skills. Through workshops and group work, faculty will learn and interact with their peers on key topics including publication in peer reviewed journals, teaching family business curriculum, developing research programs, creating and directing a research center, supervising and mentoring doctoral students. The craft of reviewing: How can we benefit from reviewing papers? Space in both groups is limited to 15 candidates. Please include in your application a CV reflecting your current interest, and capabilities in family business research, and provide your complete contact details, including name, university affiliation, email address and phone number, as well as a picture of yourself. Abstract of your research interests (150-200 words) – with the heading “Application for IFERA 2017 Doctoral Consortium”. Letter of recommendation from your dissertation supervisor (if already determined) or a faculty member who knows you and your research interests. We are keen to give our delegates the warmest welcome to the 2017 IFERA Conference. 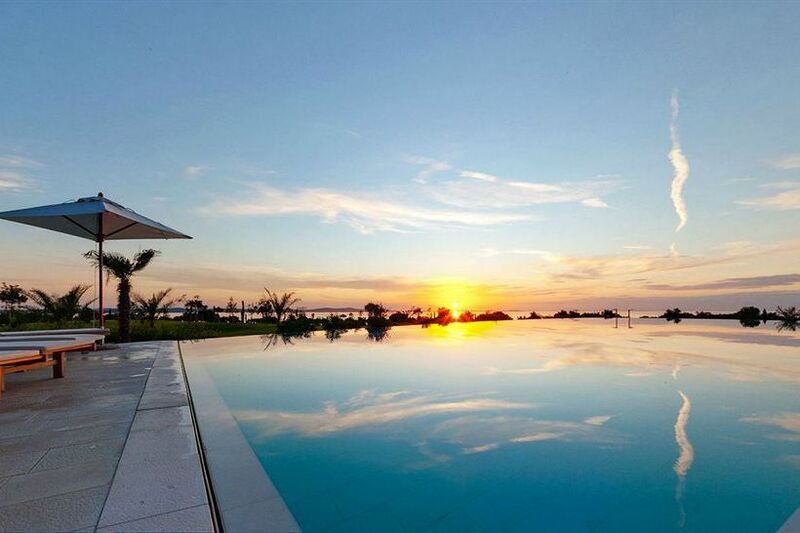 So, picture yourself in this beautiful setting with a glass of chilled wine looking at the best sunset in the world. 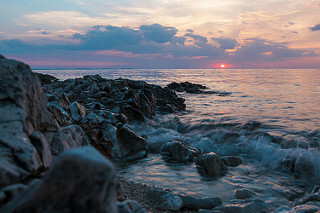 Please join us for our welcome reception on the 28th June from 7.00 pm at the Falkensteiner Iadera Hotel. 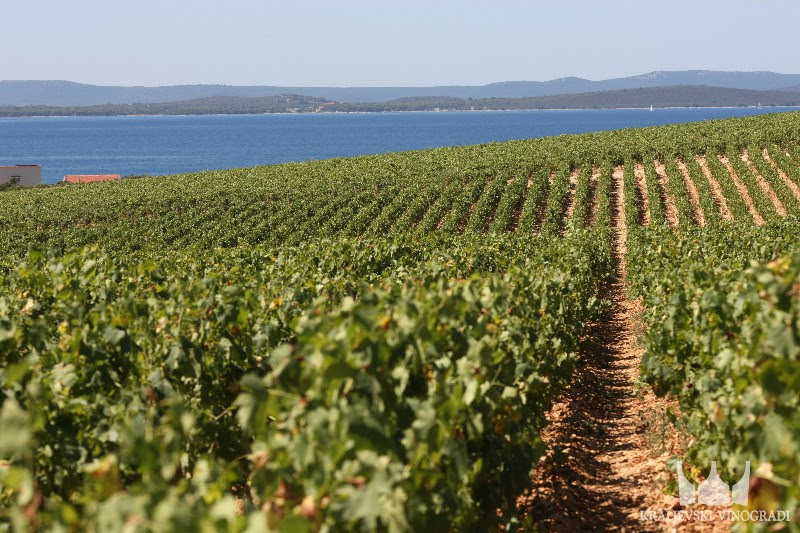 On top of this beautiful hill, overlooking the sea, you can find one of the best wine producer in the Zadar territory. 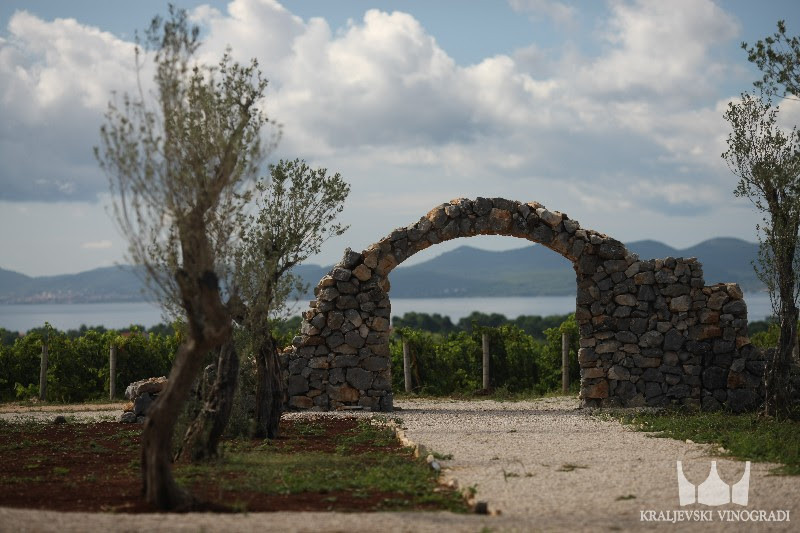 Their wines reflect fresheness and tones of fruit flavours and fragrances, drowned alcohol and strong body. As part of our social programme we would like to invite you for a gastronomic journey, and give you the opportunity to taste some of the excellences provided by this amazing land and its wonderful people. This dinner will be a jump in the dalmatian culture, where flavours, scents and music are the protagonists of an unforgettable experience. 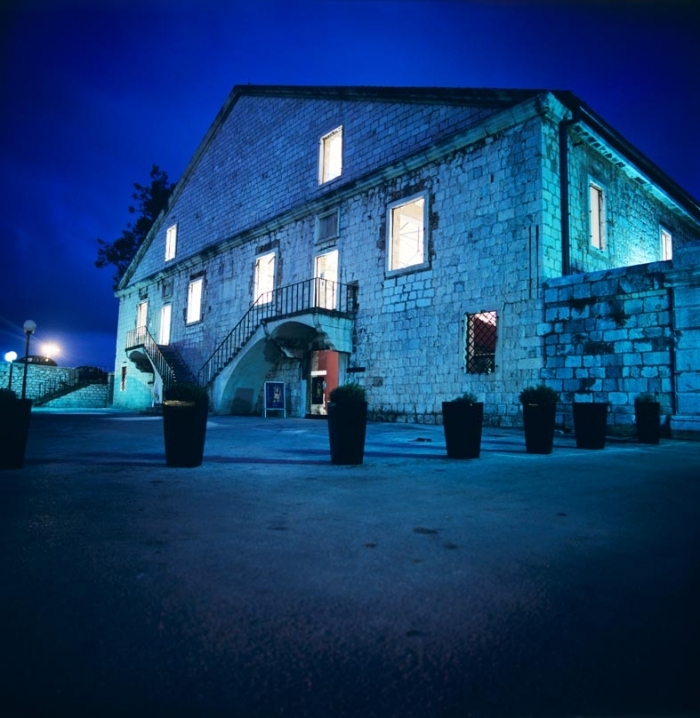 Are you ready to make your entrance in the City of Zadar? 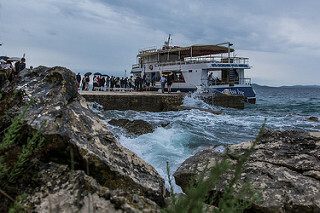 And after enjoying the most panoramic view from the middle of the sea, you will be just steps away from the amazing historical venue we have chosen for the gala dinner. 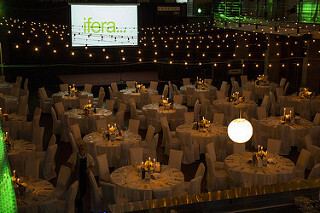 Grab a glass of bubbles and enjoy your three-course dinner while you get ready for the IFERA Award Ceremony. Please join us on the 30th June for a night to remember. See you all at the Iadera Hotel jetty! The International Family Enterprise Research Academy (IFERA) is dedicated to facilitating and promoting the advancement of family business research by encouraging sound, scholarly, and rigorous research practices derived from all accepted methods of inquiry and philosophical traditions. The IFERA PhD Thesis Proposal initiative aims to acknowledge and honor the next generation of family business scholars whose research is deemed to hold significant promise to increase extant knowledge in the broad area of family business. 2000 € award sponsored by IFERA. PhD students undertaking research in an accredited academic institution. Before the deadline of May 30, 2017, go to https://www.softconf.com/h/ifera2017 to complete the submission process. This summary should outline the following key aspects: research objectives, leading research question(s), outline of theory driving the research or shown to be potentially developed, relevant literature review, study justification. Lenght: 3'000 words (+/- 10%) double-spaced in 12 points font (note that title page, abstract, figures, tables, and references are not counted for page limit purposes). 4. Letter of recommendation from your primary Ph.D. supervisor. No email or hard copies will be accepted. The applicants are requested to present the PhD Thesis Proposal during the conference to a panel of scholars that will evaluate the idea and provide developmental feedbacks. 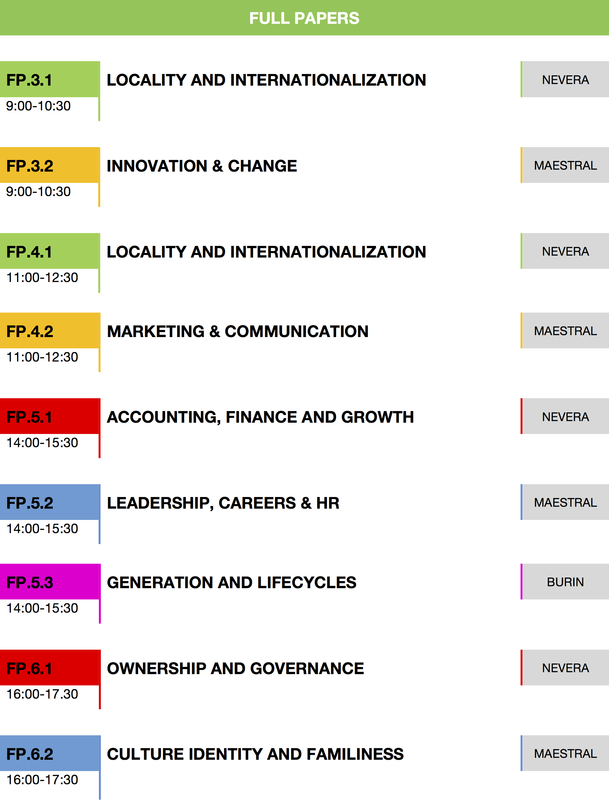 The format for the presentation will be communicated to the applicants after the deadline. The International Family Enterprise Research Academy (IFERA) is dedicated to facilitating and promoting the advancement of family business research by encouraging sound, scholarly, and rigorous research practices derived from all accepted methods of inquiry and philosophical traditions. The IFERA Research Proposal initiative aims to support family business research by supporting the development of early stage research project that will contribute to knowledge in the broad area of family business. Single Researcher or Resarch Team. All applicants conduct research in an accredited academic institution. The research project is not part of a doctoral thesis. In this case, please refer to the PhD Thesis Proposal Award. 2. Abstract (200 words limit) – Type or Cut and paste in the textbox on the submission page. This summary should outline the following key aspects: research objectives, leading research question(s), outline of theory driving the research or shown to be potentially developed, relevant literature, study justification, as well as the refereed journal(s) that will be targeted. The applicants are requested to present the Research Proposal during the conference to a panel of scholars that will evaluate the idea and provide developmental feedbacks. The format for the presentation will be communicated to the applicants after the deadline. The photos from the IFERA 2017 Zadar are available on Flickr. You can access to them by clicking at the following pictures.